A couple of week-ends ago we went to Macau for the first time. I’d been to Vegas (once) so I kind of new what to expect, at least as far as the kitsch side of Macau was concerned. 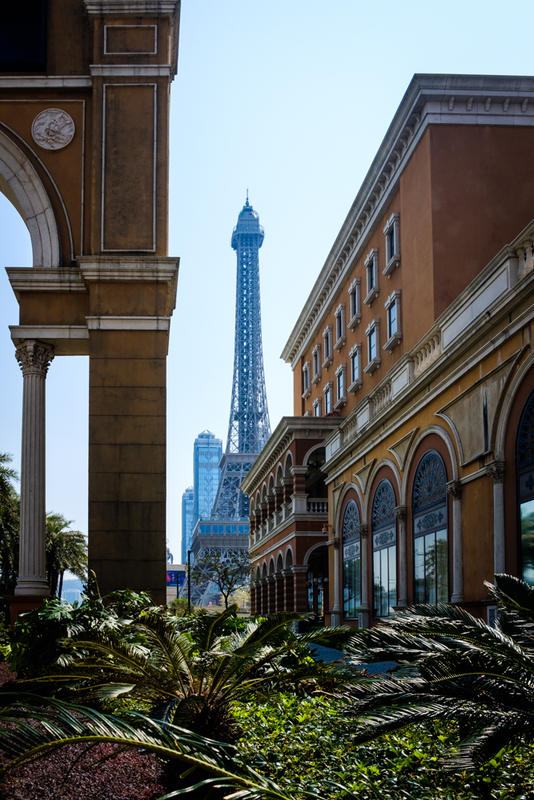 Still, the clash of the Eiffel Tower as the backdrop to Venetian buildings with tropical greens at the forefront is not something you see everyday!